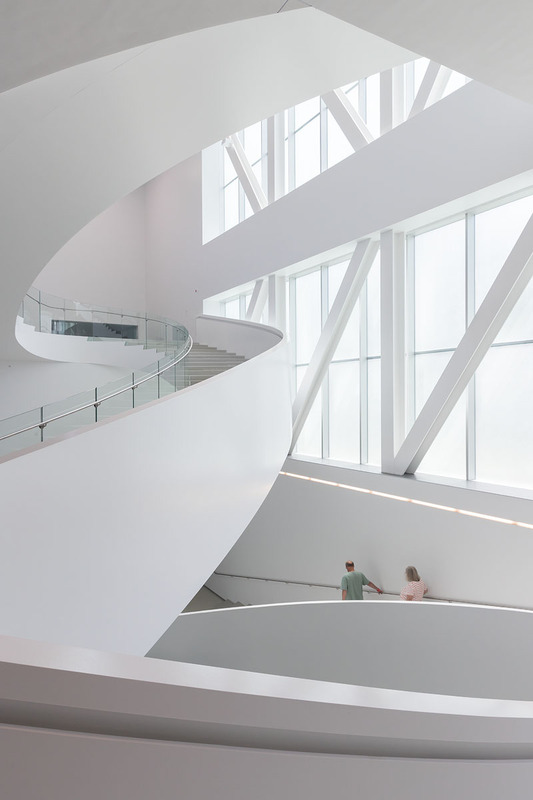 Quebec Museum photography is by Iwan Baan. The 14,900sf museum stacks three gallery volumes in a cascading cantilever over the Grand Hall. and invites the city into the building while acting as an extension of the park through the green roofs and carefully placed windows and terraces. The Grand Hall, a transparent glass box independently supported by vertically cantilevering glass fins located underneath the cantilevering museum structure as well as the intimate courtyard, both add new urban plazas to the city and to the museum complex. 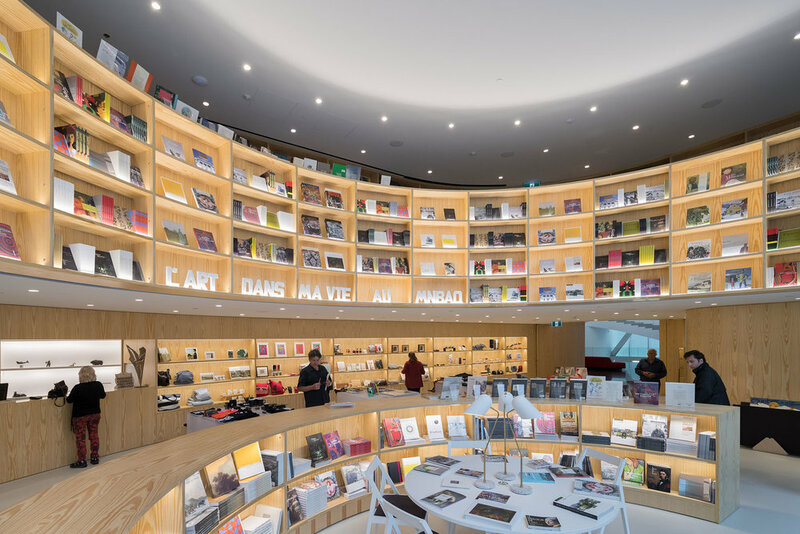 Quiet, functional and understated, the museum’s galleries stack upwards in the order of required gallery dimensions for temporary, semi-permanent and permanent galleries. 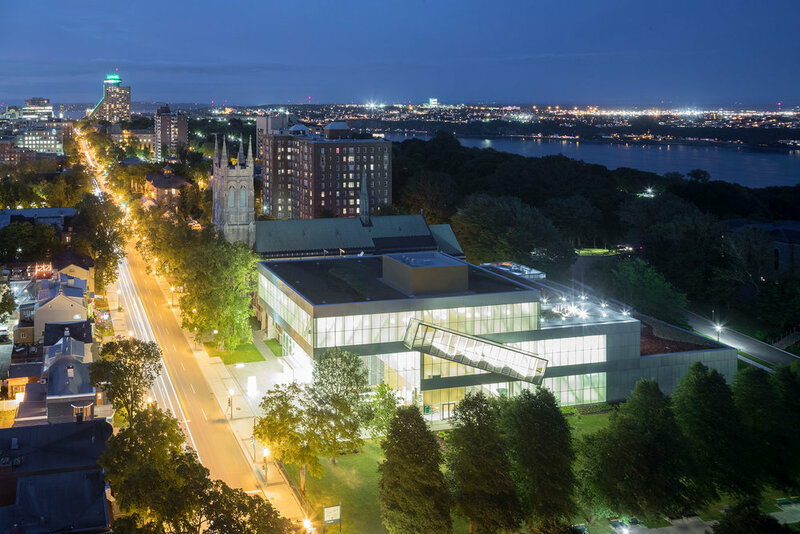 The hybrid steel truss structural system used throughout the building creates uninterrupted gallery spaces and provide the building’s formal identity as the truss structure is exposed behind the triple layered glass facade surrounding the entire building. The frit pattern on the glass facade mimics and enhances the reading of the steel structure while providing the required thermal control to lower mechanical loads. 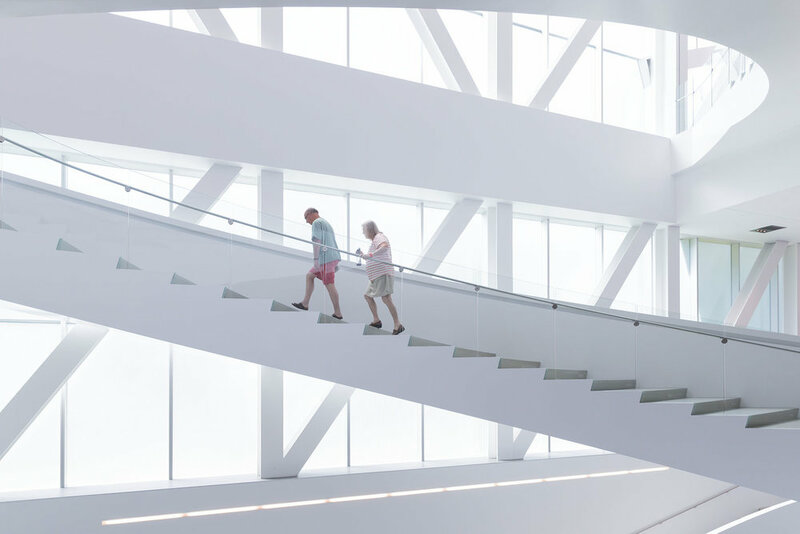 -coat check, cafe, museum shop and auditorium- via a promenade of structurally and formally monumental staircases -the spiral staircase of the atrium and the exterior pop-out staircase which adds to the formal expression of the building. Queens Museum photography is by Hai Zhang.